Toronto, ON, April 15, 2019 (GLOBE NEWSWIRE) — Weed Me added two new licenses to its already-acquired cultivation and processing licenses enabling it to sell cannabis products to medical and recreational consumers across Canada.The company has access to over 100 different genetic strains of cannabis that come from some of the top breeders in Holland and Spain. Today, Weed Me has the capacity to produce 1,000 kilograms of flower per year, a number that will increase to 4,000 kilograms once it completes the expansion of its current facility. Since November 2018, Weed Me has been producing dried flower and pre-roll products which have been sold to other license holders including some of Canada’s largest producers. The company is currently processing cannabis to produce oil and expects to bring this product to market in the near future.Weed Me founder, Terry Kulaga states, “Ever since we first began cultivating cannabis in spring of 2018, we’ve been committed to helping patients of all walks of life in need of effective pain therapy. With a core mission to supply patients across Canada with the highest and most consistent quality cannabis, this license helps Weed Me fulfill its vision every day.”“In addition to our ability to deliver medical cannabis directly to patients, in the near future Weed Me also plans to offer its premium product to recreational users who use Cannabis as part of their lifestyle” Says Benny Presman, Weed Me’s Founder and Chief Commercial Officer.About Weed MeEstablished in April 2016, Weed Me is a leading Canadian Licensed Producer. 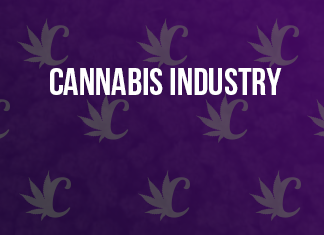 Comprised of a large and committed team, the company’s passion and vision are to enhance lives by providing high quality medical and recreational cannabis to people across Canada. Located in Pickering, Ontario, Weed Me focuses on the development of unique formulations and cannabis strains that meet the specific individual needs of Canadian patients and recreational users. Leveraging its current and soon-to-be-built production facilities and applying its thorough clinical data, Weed Me is a cannabis cultivator and producer that is able to minimize its operating costs, deliver consistent quality and keep up with its ever increasing market demand.